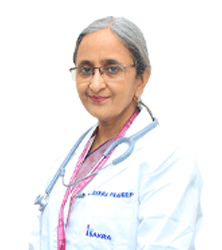 Profile of Dr. Raghu J.
Dr. Raghu. J. 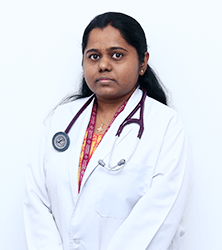 Is very eminent Doctor who has over 11 Years of experience as a Physician & Diabetologist. 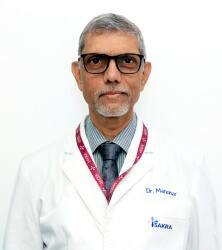 He also worked as an Associate Prof. in PES Institute of Medical College & has vast experience in teaching undergraduates & post graduate students & training them in bedside clinical & theory presentations. He is also trained in ICU & Emergency Medicine. 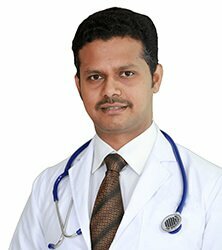 He has worked as a Senior Consultant in many Super Speciality Hospitals like, Sri Jayadeva Institute of Cardiac Sciences, Fortis Hospitals, and Narayana Health Hospitals. He has also worked in SRL Ranbaxy Diagnostics for 6 Years. He has also been into Insurance Medicine as a Chief Medical Officer. 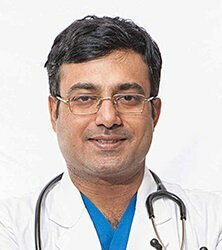 He has completed his MBBS from Dev Raj Urs Medical College & MD from Ramaiah Institute of Medical Sciences. For past 8 years he has given many talks related to Health on National & Local Television Channels. He is a regular columnist in Newspapers & Health Magazines. His area of Special Interest is Diabetic Care & Infectious Disease.